A two-Day meeting to review and validate the ECOWAS Gender and Elections Strategic Framework (GESF) and Action Plan began in Abuja, Nigeria on the 12th of December 2016. 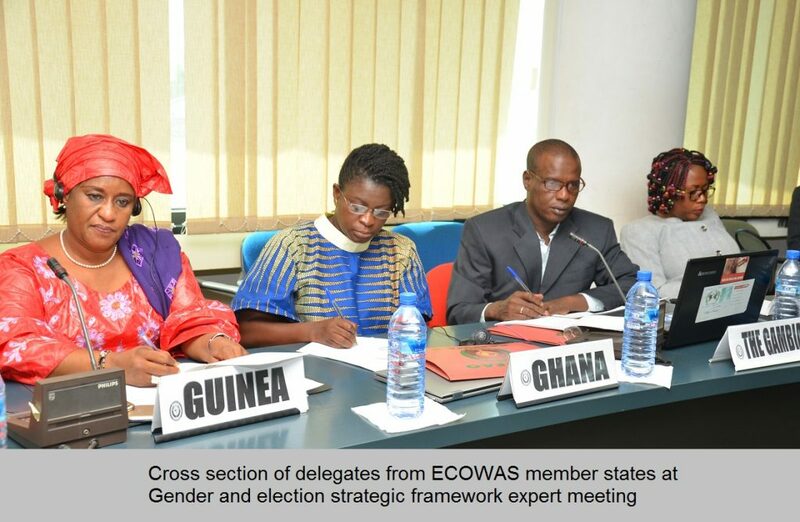 The ECOWAS GESF together with its Action Plan is meant to be an advocacy document for the promotion of women’s political participation and representation in democracy while enhancing their role in the electoral processes. The experts and resource persons at the meeting are making valuable contributions towards improving the integration of gender equality perspectives in political parties’ governance processes, structures and systems in West Africa. 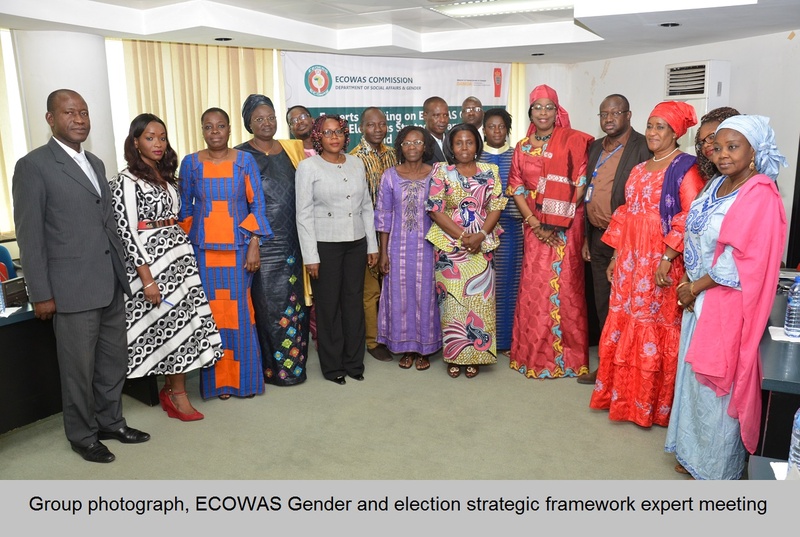 Declaring the meeting open, the ECOWAS Commissioner for Social Affairs and Gender, Dr. Fatimata Dia Sow disclosed that the meeting is expected to enhance the role of national electoral stakeholders and to support and integrate gender dimension through their activities in the electoral process. Elections have become a central element of the democratic landscape of West Africa while women who make up about 50 percent of the electorates in the region, continue to contribute immensely towards peace-building and conflict prevention in the region. 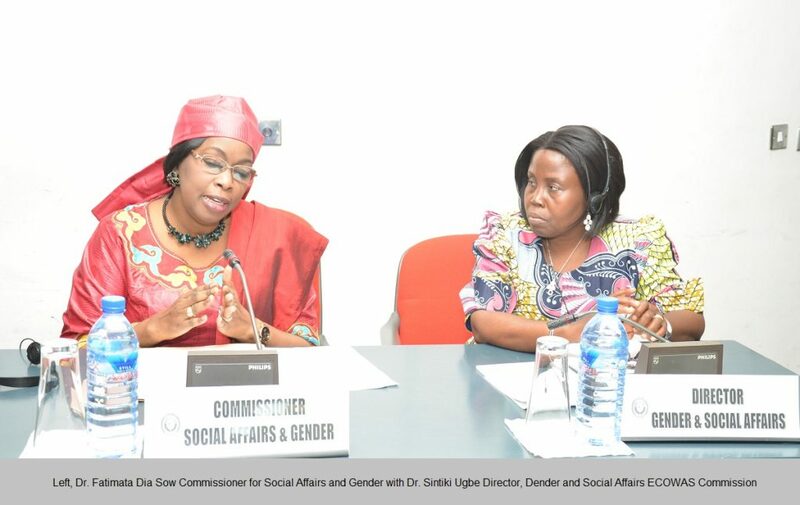 But despite their strategic position, the Commissioner maintained that women have ‘continued to be seriously under-represented as candidates for public office’ and have been systematically and culturally disadvantaged and therefore need to be part of the whole process, ‘not just as voters, but also as development agents’. 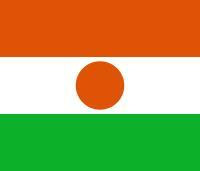 Aside the positives coming out from a country like Senegal, Dr. Sow noted that West African countries are still ‘lagging behind the world in political participation and representation of women’, a situation that now needs to be addressed as a major challenge in West Africa. Supported by the ECOWAS Director, Gender and Child Development Dr. Sintiki Ugbe, the Commissioner said it is imperative, for stakeholders to address the ‘gender blindness’ of the various electoral systems of the region as well as in the outcomes of elections because there cannot be a stable, peaceful and prosperous community if institutions are not democratic and representative of all groups in society such as women, men, minorities, majorities, the dispossessed as well as the affluent. She Thanked the Danish Government for their financial support towards the development of the Framework and Action Plan stressing that ECOWAS will continue to count on the support of Danish International Development Agency (DANIDA) and other potential partners towards the successful implementation of the plan. Presentations and discussions at the meeting are centring on state of women participation in election and its effect on the political process. Also being reviewed are the GESF Action Plan, implementation prospects dynamics as well as the way forward. It is expected that the work of the experts in Abuja would be recommended for adoption by ECOWAS Ministers of Women Affairs at their meeting proposed to hold in first quarter of 2017.